Sultani Dal: The British Dal Festival Recipe Ideas. The British Dal Festival kicks off on the 10th February 2019 in celebration of the first ever United Nations World Pulse day. To honour the humble pulse, I thought you might like some dal recipes. Starting today with this Sultani Dal recipe. Combine the milk, cream and curd in a bowl, mix well and keep aside. Grind the cardamoms and cloves and keep aside. Boil the dal along with salt and chilli powder in 2 1/2 cups of water until soft and mash well. Place a small container on the dal and keep a live charcoal in it. Pour 1 tsp of ghee over it and immediately cover it for 10 minutes. Mix together the cream mix, clove paste and saffron. Remove the cover, add this paste to the dal and simmer on low flame for 3-4 minutes. Heat the remaining ghee and temper with the cumin seeds and garlic. Add to the dal and mix well. Serve hot, garnished with green chillies and mint leaves. 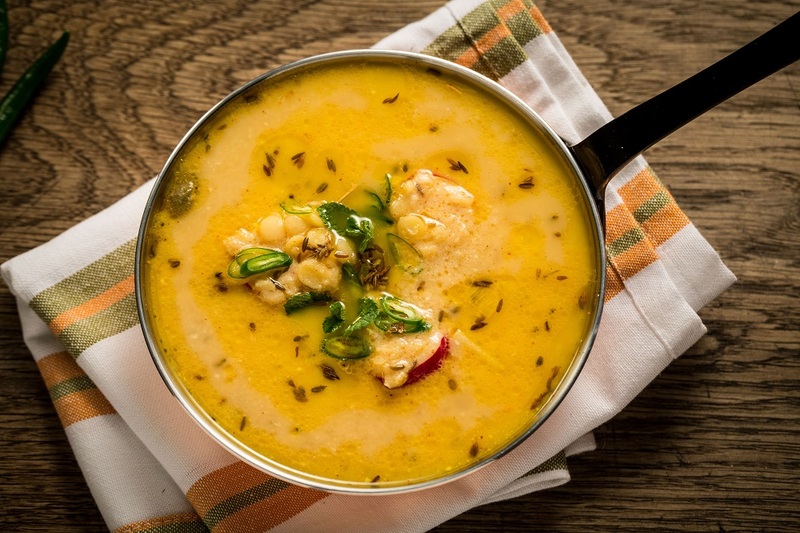 What do you think of this Sultani Dal recipe? This recipe is fascinating and looks delicious. Is the charcoal just a method of heating it so it doesn't scorch on a traditional stovetop? Or does it serve another purpose? This looks like a fantastic bowl of goodness! Hope you are having a great week and thanks so much for sharing your awesome recipe with us at Full Plate Thursday!